FieldConnex Power Hubs for Yokogawa are equipped with plugs for two AKB 336 system cables in redundant configuration. They connect four segments at once. The position of the connectors can be selected on the right and left side of the motherboard. This enables best practices for control cabinet design with segregation of cables to the control system from field cabling. All DCS wiring is routed through the centre cable duct with connectors selectable. 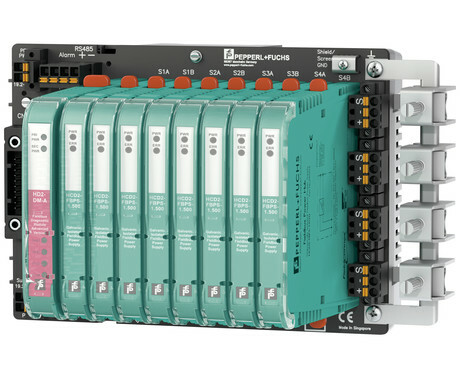 This enables best possible installation quality for best communications quality and reliability: wiring errors eliminated; best protection from power surges; and minimal effort for cable checkout. 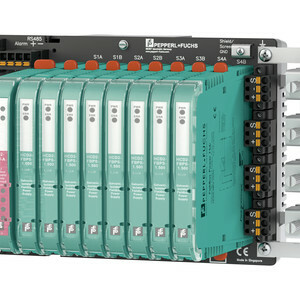 With 10 or more years in operation, many fieldbus installations begin to age. FieldConnex Power Hubs are a suitable replacement for any power supply with no work that is required in the cabinet because the small size fits between existing cable trays; connectors stay in place; and power dissipation is said to be lower than existing power supplies. 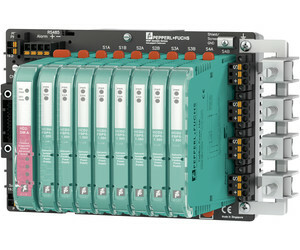 I am interested in Pepperl+Fuchs FieldConnex Power Hub for Yokogawa .